Stuck in greenside rough? Leave the wedge in your bag and pop it out with your putter. Top 100 Teacher Debbie Doniger (@DebbieDoniger) shows you how it's done. Wedges twist in the thick stuff. Your putter won't. Lush, thick grass is nice to picnic on, but it's a bear to chip from. So why even try? Here's a dandy little pop shot that I learned (okay, stole) from instruction Hall-of-Famer Jim McLean. Rather than get your wedges in a twist, grab your putter and set up with the ball at or even behind your back foot. (Yeah, way back there.) Lean the shaft toward the target and slightly toward your left pants pocket. Set about 70 percent of your weight over your left side. I use my putter grip on this shot, but you can use whatever hold you want. With the ball so far back and your hands in the center of your body, shaft lean comes naturally. As far as technique goes, you're basically hinging your wrists and lifting the putterhead straight up — no "swing" or weight shift needed. As soon as the putterhead completes its rise, allow it to drop pendulum-style right back to the ball. The weight of the clubhead — and gravity — makes it easy. 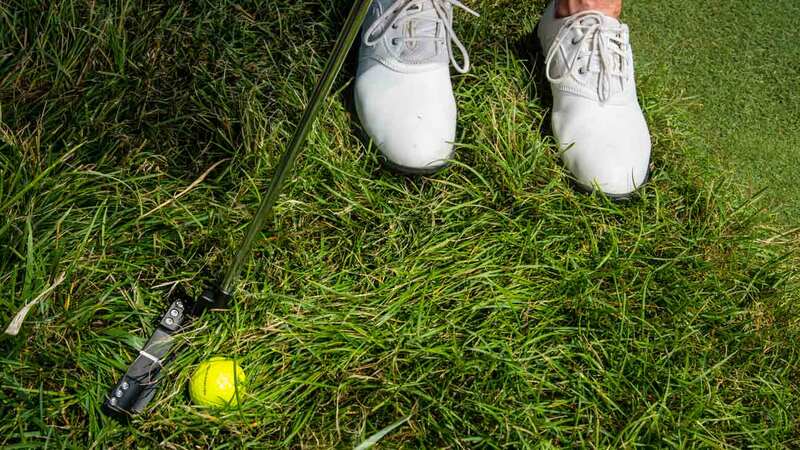 Since you're coming into impact so steeply, the ball will immediately "pop" up into the air (assuming you've caught the ball prior to the grass). Don't worry about following through. Simply stick the putterhead into the spinach. And pick a landing spot short of the hole — this baby's going to run. With your weight over your left side, hinge the putter back and up, then let it drop back down to the ball.